In our continued support of the green and recycling business sectors, Cass Software was asked to provide a complete CRM system for Elite Network. 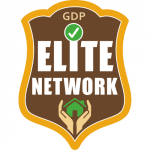 Elite Network provide the best service possible in the government’s green deal, a scheme designed to improve the efficiency of low income housing and reduce fuel bills through wall and attic insulation. The system comprised of a bespoke CRM back end with links to their existing website. APIs were provided to allow third party companies to submit callback requests and lead generations. Click here to see our case study. The STAR Framework is our leading off-the-shelf package combining the basics of good business software with additional business tailored modules to suit a wide variety of industries. e-Commerce @ Home provides a web framework consisting of everything you need to establish a web presense for your business! © 2013 Cass Software, All Rights Reserved.